When you launch a new campaign, whether it’s in the B2B or consumer-related fields, putting together the right design team and finding the right copywriters for hire and getting them all up to speed for the task is critical. And getting the writer up to speed is crucial for your project’s success and outcomes. That’s why a creative brief is a critical component after you hire a new copywriter. It’s a one-page summary of all the things you’d like your design team and creatives (in this instance, copywriter) working on the project to address and accomplish. Why is the project important for us? What are the steps toward implementation? Another key attribute is to have your creative brief address what the benefits are for your clients and design team so that together, there are metrics established for success and accountability. So how do you find the right copywriter to add to your design team and project? The obvious route is to have a full-time staffer and writer on board already, but that can be inefficient and costly for many smaller companies. Check out this article from Copyblogger or this one from Jennifer Gregory’s blog post at The Content Marketing Writer. Both will discuss the differences between what a copywriter does and a content marketer attempts to do, and I’ve discussed the elements of effective copywriting as well. There are many different ways to find a number of decent copywriters for hire, from job boards like Upwork, Textbroker, and Fiverr or posting on a premium site like Problogger. You can also try local Craigslist ads to find the writer your content demands. There’s just one problem with sites like Upwork and Fiverr. The sites work like this: you post a job, list your requirements, and budget. The site is built on an international platform, so you get people bidding from all around the globe. While that means you may get lower bids, it means you may be sacrificing quality at the same time. Why? Because if you get a writer willing to take on your project for pennies on the dollar, you may be getting threads for clothing. Another problem is that there are a lot of writers that English is a second language to them, or they have different forms of expression such as in the south, “Y’all” is a pretty standard form of “You + All” and is recognizable almost everywhere in America. But to someone out of the country, Y’all may seem to be a misspelling of the word, “Yawl” – which is a nautical term. Additionally, many of the writers on these sites are content marketing writers, not actual copywriters. Meanwhile, a site like Problogger and their job board can find you great copywriters for hire, but it’ll cost you to advertise. Starting at $70 a month for a job listing on a site like Problogger can be worth it, but if you advertise on a number of websites, it can begin to add up quickly. Perhaps finding a local writer is something you want. Craigslist is a free platform to use, but again, as many of the content mills discussed earlier, you get what you pay for, and you may want to reconsider this strategy. Another strategy to consider is posting your writer needs on Facebook, but the problem with this approach is that if someone isn’t already engaging with your page, your post will be blind to them. Facebook runs on an algorithm that creates a feedback loop of what a user has engaged in positively, and tunes out the content the user haven’t engaged in or similar to content they have blocked. Your go around to this is ad targeting to a specific audience – in this case, freelance copywriters for hire – but again, it could become expensive if not done correctly. Finally, what about a service platform such as Linkedin? Much like Facebook, the connections you have on LinkedIn are run by an algorithm designed to give you a confidence-feedback loop that connects you with people and services that you already are connected with, to varying degrees of connection. Say you’re in the in the Health niche for example. One would think that LinkedIn would be a good place to look for a copywriter, but it may prove to be difficult. Why? Because unless you can set a highly targeted search for copywriters for hire in the health niche, you’ll be searching in a closed loop of 1st, 2nd, and 3rd “connections.” And since most of your connections are going to be of similar business and interests, finding a copywriter that understands your business will be tough to come by. So now that you’ve explored options to finding a copywriter, your next goal should be getting on the same page with the writer. Too often businesses look to hire a writer and after a round or two of articles, and money spent, discover that what the business needs and what the writer is offering are way off target. That’s where a creative brief can come in handy. What a creative brief can do is alert the writer to some things they should know in handy, bullet point formats that allow them to steep themselves in your brand and brand culture quickly. A simple calendar of promotions you already run; a list of conferences you attend (B2B); editorial calendar of topics for your blog and other articles, including email/newsletter deadlines. What type of content are you using currently and what would you like to do with future content? Are you looking to expand from blog posts into email marketing for your services? Are you looking to build on a previously failed campaign using a new set of data points to explore? Also, who are some of your competitors and what are they doing with their content? A quick link to an article or two can go a long way in helping your new copywriter get up to speed quickly. A simple, data-oriented profile of who is using/purchasing your offerings and products. What are the statistics of who is buying your offerings such as; age, gender, family size (or business size – B2B) amount spent per visit/order, potential tie-ins to promote, income levels, education levels, etc. This will help the copywriter see your audience and assist the writer craft their content in such a way as to address them and their needs perfectly. Before you set out on a new project, sit down and write a creative brief that you can use for your design team. By addressing the metrics you’d like to see, as well as the outcomes you’d like your project to accomplish, you’ll give your team a much better pathway toward success. This will be of great benefit for your client’s success, your business’ success, and any copywriters for hire you decide to use. If you need a copywriter to oversee your new project, build your brand awareness, increase your traffic, and improve your conversions, fill out the contact form below. Are you struggling with conversions on your blog? Is your marketing campaign underperforming? Why do you think that is? Are you publishing the right type of content regularly, or is the theme of your blog difficult to understand? For example, is your blog about how to improve your tennis game, but you’re writing content about a new tennis shoe? Yeah, they may be loosely related concepts, but unless done really well, may make your readers confused as to the point of your blog. With that said, there are four simple things that even the most inexperienced marketer and blogger can do to improve your conversion. 1) Experiment: Try new things, new techniques, new ways to say the same thing. Have you and your business never been on social media? Create an account on one. Post a number of different types of articles, videos, and images related to what your services are. What is grabbing the attention of your audience? Never used video on your blog? Set one up that shows your services in action. 2) Test: Did your new platform or content work? Is the content the right tone for your audience? Test it by using one source as a control and another as the competition. Which one worked to convert better? Which of the content worked to convert better? For example, if you are using video for your blog, create two different ones, each with specific calls-to-action for each one and have a way to track them. Which performs better? Analyze the data and figure out why one is outperforming the other. Perhaps it’s the tone in the better-converting video, or the direct language (“act now!”) that is outperforming the other. Understand what works and what doesn’t goes a long way toward determining if your marketing campaign will be a success or not. Now, make the better performing one as the control and test it against a new video to see what works better. Just like in school, keep testing to see what is the best converting one. Just like in school, keep testing to see what is the best converting one. 3) Do what works: When you test between a control and a competitor, find out which one works. And do more of it. The Pareto Principle claims that you’ll receive 80% of your output will come from 20% of your efforts. So focus on that 20 % of things that convert. If you find one aspect outperforming the others, dedicate more time, energy and efforts to those that are outperforming the others. 4) Avoid what doesn’t work: Disregard those items that don’t convert. You have a finite amount of time, energy, and other resources, so why squander them on things that don’t convert? Armed with data from your experimentation and testing, focus your efforts on what works and disregard (for the moment) what didn’t work. Stop wasting time on what doesn’t matter to your marketing campaign(s) and focus your efforts on what does convert. Now that you’ve improved your conversions reflect back on what didn’t work. Analyze why it underperformed. Was it the right tone for your audience? Was it the right image for your readers? Try to understand why it underperformed, tweak it and try it again. Were there any noticeable improvements in its conversion? If so, why do you think that was? If so, why do you think that was? If not, why not? By analyzing your past marketing campaign failures, you can rework that content and test it against what is already converting. You may find that with a little tweaking, your previous content that underperformed may become your best performing stuff yet. If your content isn’t converting as you need it to, contact us today. This post will help answer the question what is effective copywriting and why it should matter to you in the online world. Writing for a digital marketplace has become its own cottage industry. Everyone throws around terms like SEO copywriting, content marketing, and Internet marketing – and each term has developed their own fans and practitioners. In the end, terms like SEO copywriting, content marketing, and Internet marketing are only different ways of achieving the same thing – how to get in front of people and get them excited to take action. Traffic generation doesn’t do much without a plan of action to get prospects, leads and readers motivated to act. That’s the sign of effective copywriting, and a professional copywriter knows the pressure points to apply in their copy that others don’t. Whether you’re in sales or the service industry, getting in front of people is only the first step. And while taking that first step is important, it’s what you do, or don’t do, that’s most important. What is that all-important step? To get your readers and your audience to take action. Too often content ends at this point. The focus of the content is on attracting traffic at the sacrifice of movement. And the writing isn’t very good or focused toward an end result. Readers arrive at your page, post or product and it’s unclear what they should do next, or worse yet, why they’re on your page at all. Because the content that got them to arrive on your page wasn’t guided, it didn’t direct a certain type of reader – the one you want to convert from reader (or “lead) to customer. Think about it this way, if you were in your car and came on a four-way intersection that lacked stop lights or police to guide and direct traffic, what you’d get into is a massive traffic jam without anyone being able to get anywhere. To get more directed traffic, you need to act as the police to guide the traffic through your intersections of your website, post or product review. You need to write more effective copywriting, but too often publishers, marketers, and retailers think that their content is good enough. Because their content explains the product in detail. Or that their content is uniform in tone. And they get a ton of traffic from their content. Remember that in service, it’s about the customer. It’s about their wants, their needs, and how you’re making their problems disappear. And sales is the same. Whether you’re selling a car, life insurance or a new gadget – selling is about getting your customer what they want easier than they could have before they interacted with you. So how do you get your potential leads to convert? In order to get your traffic to convert, the first thing you need to do is find the right type of traffic. Finding the prospective lead is a huge part of your content strategy, but once you find them, what comes next? You have to motivate them with your copywriting. Effective copywriting is about using the right words to motivate a reader. 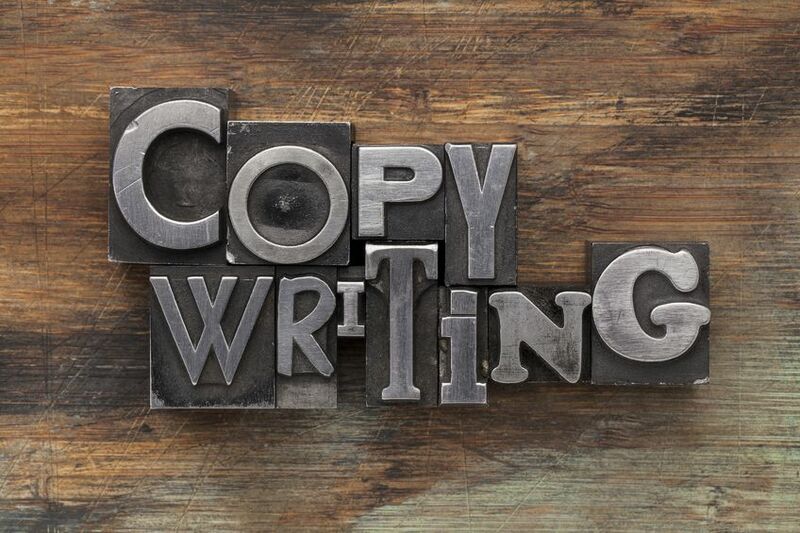 Copywriting then is more than just writing about a product or service to get traffic. It’s about the words you choose to use, and those you decide not to use that can be a deal maker or deal breaker. Free – New – You – are all great words with power that attract the reader, and if included with a time-element, especially one that emphasizes the moment NOW, will add an element of immediacy. It’s an action we take on based on desire. It feels good to act impulsively. So your copywriting should emphasize that benefit. If I told you that you could have $1 million dollars for free by signing up for an email list, what would you think? Other than the thought, “what a scam, what’s the catch?,” how motivated are you to sign-up? But what if I told you that you could have $1 million dollars by signing up for an email list, but only if you did it in the next hour? Are you more curious? Do you feel a little knot in your stomach, if even for a brief moment? That’s the power of scarcity. Scarcity creates added value by placing an immediacy to taking action. If you could have a limited edition, signed copy of your favorite record by your favorite musician versus a general release, which one would you value more? Now, what if you could only get that special deal, limited release in the next 5 minutes? Adding a time element to any action increases the desire to make it happen. Because nobody wants to miss out on something important. And effective copywriting will motivate your readers to take action. So place your customers’ desires, wants, and needs as your priority. But do it soon, before this opportunity ends. They will convert, right now.